As a member of the West Coast gangster rap collective, Compton’s Most Wanted, MC Eiht stepped onto the scene with the group’s seminal It’s A Compton Thang album in 1990. Two years later, their explosive breakthrough record, Music To Driveby, solidified Eiht’s status as a pioneering MC. One of his most well-known tracks, “Streiht Up Menace,” was featured on the soundtrack for the 1993 classic movie Menace II Society, which he also starred in. Fast-forward to 2017 and Eiht is back with his first full-length solo album in 10 years, Which Way Iz West, a 15-track project executive produced by East Coast luminary, DJ Premier, a partnership that may have some people scratching their heads. With high-profile guest spots from The Outlawz, Lady Of Rage, Kurupt, B-Real, Xzibit, Bumpy Knuckles, Big Mike, WC, MayLay, and his old crew, Compton’s Most Wanted, it retains that original West Coast flavor, but simultaneously evolves with the times due in part to Preemo’s more golden era-style beats. Four years in the making, Eiht is hoping people recognize the hard work that went into creating the record. Eiht hasn’t been completely quiet. He appeared on fellow Compton native Kendrick Lamar’s Good Kid, m.A.A.d. City in 2012, and contributed to DJ Quik and Problem’s Rosecrans album earlier this month (which officially ended his vicious, long-running feud with Quik). On every cut, he manages to stay true to himself, something he factored into the naming of Which Way Iz West. The first single, “Represent Like This,” finds WC of WC and the Maad Circle as well as Preemo throwing down over a Brenk Sinatra-produced banger, a little sliver of what to expect when the full album drops on June 9. Check out “Represent Like This” above, and the single art and tracklist below. 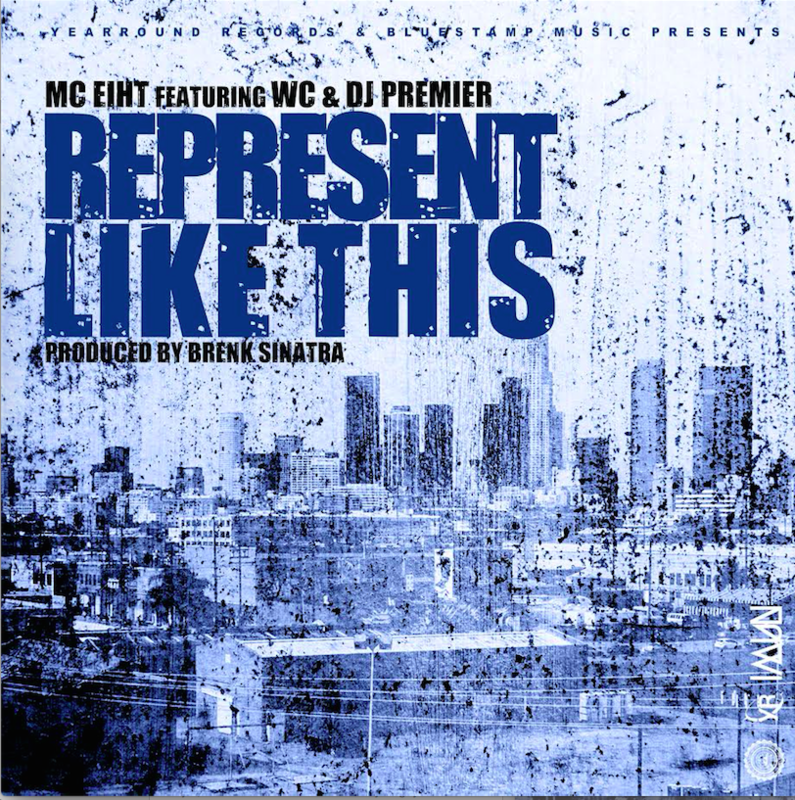 Share the post "MC Eiht & DJ Premier Give 1st Taste Of Collaborative Album “Which Way Iz West”"